With streaming services like Netflix competing for viewers, film marketers have never had to work harder or more creatively to get people to the cinema. Film marketing used to be a fairly simple proposition, at least for the consumer. A trip to the cinema would involve strolling past new posters on your way into the screen, followed by 20 minutes of trailers for upcoming releases. Occasionally you’d catch other bits of the junket in the form of press interviews, television ads, outdoor campaigns or merchandising, but depending on your level of interest, these could be ignored. But how audiences consume cinema has changed dramatically over the last 10 years, and with it, film marketing has had to evolve. Jodie Fullagar, the managing director of M&C Saatchi Sport & Entertainment, says that the film industry is facing a major challenge from the dominance of streaming services, boom in home entertainment, and greater choice in high-quality content from the likes of Netflix. This means there has never been more competition for the attention of audiences, and as Fullagar explains, marketers "are having to work harder and think more creatively than ever before to get bums on seats". Our constant interaction with phones and laptops means that it is near impossible to escape ads now, which opens up new tools for marketers to reach potential cinemagoers. For instance, Paramount Pictures recently launched a 360-degree virtual reality campaign to promote the new Mission: Impossible – Fallout film. Produced by VR ad platform OmniVirt, consumers can "tap for stunts" on a simple banner ad, turning them into 360-degree video experiences. Michael Rucker, the chief operating officer of OmniVirt, says a savvy distribution plan is critical to ensure innovative content actually gets in front of potential moviegoers. Paramount tapped into paid digital media strategies, he explains. "Otherwise, the experience is a PR stunt with limited measurement and limited scale to justify its investment," Rucker says. "Studios are able to generate greater return on their adspend and avoid the ‘gimmicky’ VR stunt program". Technology is important in a marketer’s toolkit, but it is nothing without a clear purpose and justified creative approach. Fullagar points to creative teams putting talent at the heart of their content as an effective way of reaching consumers. One recent example is Fox’s campaign for Deadpool 2, which tailored content to specific platforms. This included embedding the Deadpool characters into fake LinkedIn and Twitter profiles and producing video skits with David Beckham. The focus was on "good old-fashioned storytelling", Fullager says, which enhanced fans’ engagement with the characters and narrative while using the social and shareable aspects of technology. Brand integration will also become more important in the battle for cinema viewers’ attention, Fullager says: "As distributors continue to fight for ‘bums on seats’, brand partnerships will become increasingly valuable… [giving] a direct line to an audience that can help distributors boost their share of voice around the cinema release period." 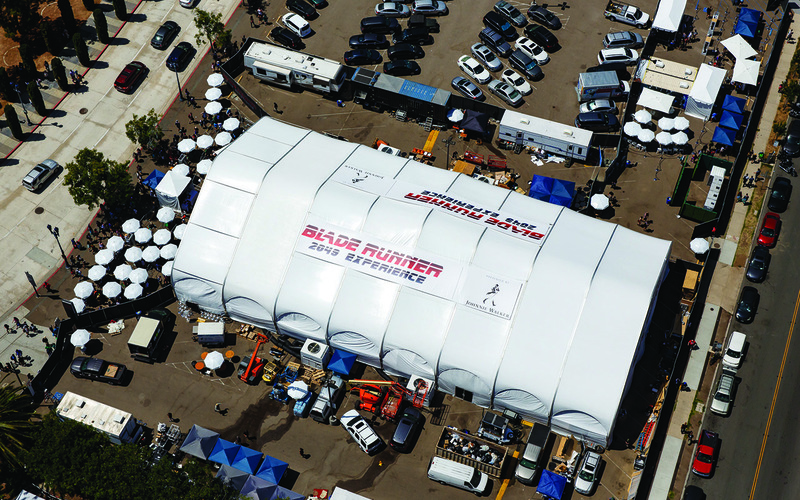 Another burgeoning approach for film marketers is experiential marketing. This might seem to lack a wide reach or shareability on social media, but the basic tenets of storytelling and driving conversation remain the same. Marc Simons, the co-founder of experiential marketing company Giant Spoon, says that historically "experiential marketing was sometimes an afterthought, not taken as seriously as other strategies", but now that the market is more competitive, "entertainment companies are looking for more creative ways to reach fans". 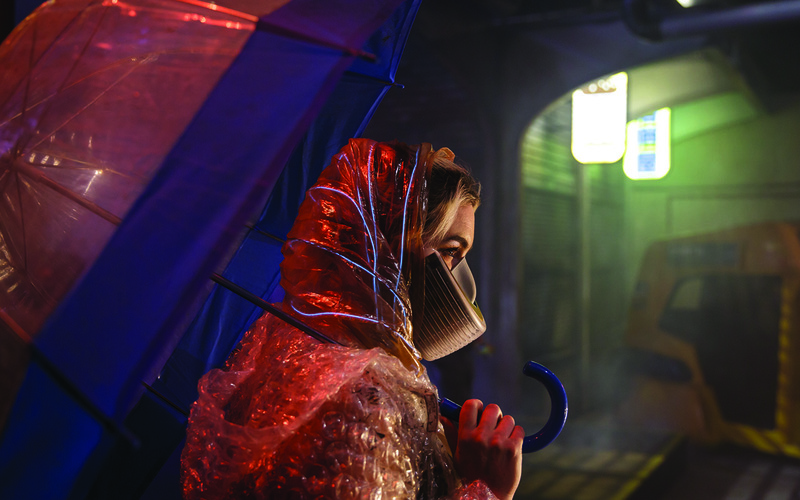 These experiences often resemble the settings of popular films or television series, such as when Giant Spoon has created spaces in the style of HBO series Westworld or the film Blade Runner 2049. Capitalising on the appeal of events such as annual entertainment and comic convention Comic-Con, such experiences have given fans opportunities for must-post social media moments and started conversation on and offline. A rising trust in social media influencers has also contributed to the importance of experiential marketing, Simons explains. "There is no better way to turn influencers into evangelists for a film than to walk them through its world. The overall impact of the press, buzz and influencer chatter from an experience can drive the success of a film in a much different way than a traditional display digital campaign," he says. "Even though only a few hundred people may be actually attending an experience, if you have the right few hundred people, you can achieve positive buzz at scale". How do you get bums on seats then? If star power is dwindling and you can’t rely on the weight of a franchise, then film marketers need to get creative, focus on storytelling, and also think about talking to consumers on a micro level. 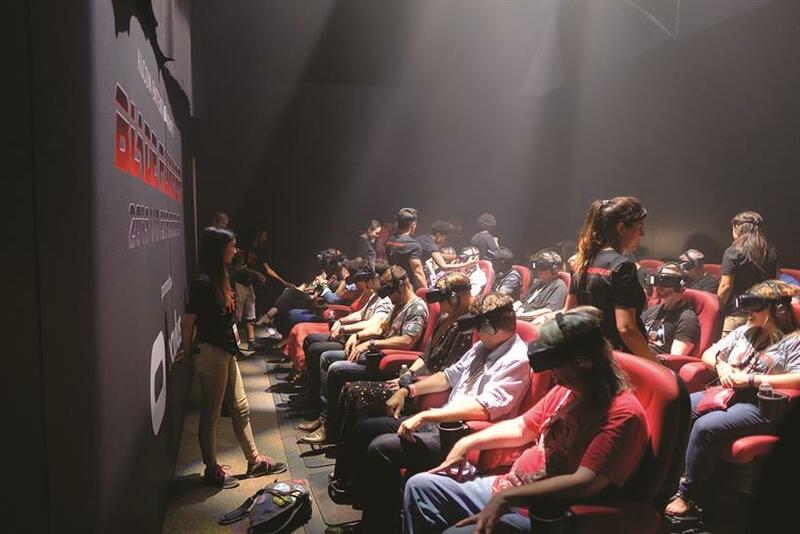 VR creator Rucker says, "Film marketing will continue to become about creating experiences that audiences choose to engage with and share with their friends", relying on deep consumer engagement, wholly unlike the cinema trip of the past.